I have gushed about the benefits of wheat germ oil for hair in 5 Ingredients for the Best Pre-Poo with Oils and Wheat Germ Oil Benefits for Skin. 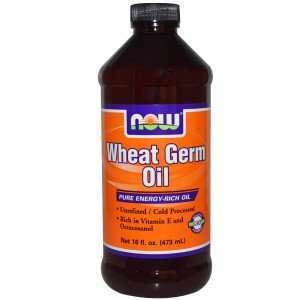 Wheat germ oil is loaded with essential nutrients, vitamins, and fatty acids. I love the way wheat germ oil makes my hair feel after a good deep conditioning session. This hydrated feeling can last for up to a week. Yes, wheat germ oil is just that awesome! It can bring relief and respite to even the driest of curls. Let’s take a look at what wheat germ oil is, how it’s made, benefits of wheat germ oil for hair and best wheat germ oil recipes for the hair. Wheat germ oil is obtained from the kernel of the wheat grain. This kernel is located within the core of the plant and feeds the plant as it grows. Though wheat germ oil is used on hair, it can also be used on the skin as well as in culinary applications. Wheat germ oil has a slightly thick consistency and a strong nutty smell, which isn’t overpowering though it bothers some people. I hardly notice the smell whenever I use it because I mix it in with a variety of other ingredients. Read Benefits of Wheat Germ Oil for the Skin. I will cover cooking with wheat germ oil in a future article. In the meantime, you can view the various other natural oils for cooking in the cooking with oils archive. Wheat germ oil has the highest concentration of vitamin E among all the vegetable oils. Vitamin E is excellent for restoring and maintaining softness in hair. Wheat germ oil contains significant amounts of vitamins A & D, protein, and lecithin. Wheat germ oil is also a good source of essential fatty acids – linoleic acid, oleic palmitic and stearic acids. Wheat germ oil is one of the oils in the ceramide family. That means shiny hair, smooth hair and stronger hair protected against split ends and frizziness. Wheat germ oil contains squalene, a polyunsaturated fat that’s similar to the kind of oil our body produces thus has the ability to readily absorb into hair and skin. It also contains B vitamins – B1, B2, B3, and B6. B vitamins promote healthy hair growth and stronger hair with elasticity. 4 – 5 tablespoons blackstrap molasses like Wholesome Sweeteners Organic Blackstrap Molasses. You can use wheat germ oil as part of your pre-poo. Below is a video of my pre-poo recipe – 5 Ingredients for the Best Pre-Poo with Oils. Mix the wheat germ oil, olive oil, and hemp seed oil together. Add the essential oils as well if you are using it. Heat up the mixture slightly over a bigger bowl of boiling water. Dampen hair and spread the mixture down the length of your locks using the 8 Effective Steps for a Scalp Massage Method. Cover with a shower cap and wrap with a hot towel or sit under a hair steamer for 45 minutes. Wash out with a mild shampoo and deep condition as usual. 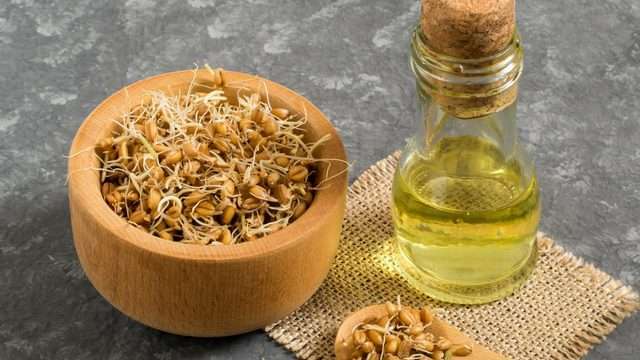 Wheat germ oil is one of the most popular oils used on hair and can reverse a lot of the damage caused by mishandling, exposure to the elements and other harmful hair products. If you have never used wheat germ oil, now is a good time to jump on this bandwagon. Read user reviews of wheat germ oil HERE. Wheat germ oil mimics protein and motions CPR is a protein treatment as well. Ensure the issue with your hair is a lack of protein before trying out this treatment so you don’t end up with protein overload. When you deep condition after these treatments, ensure you are using a moisturizing deep conditioner without any protein or ingredients that mimic protein in it. An overload of protein is just as bad as not enough protein. Wheat germ oil should be stored in a dark and cool area away from high temperatures in order to preserve its shelf life. 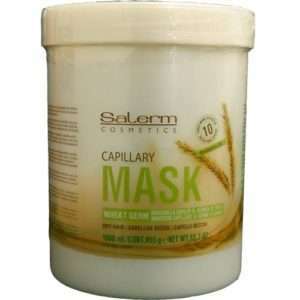 One of the products curly-haired ladies rave about is Salerm Wheat Germ Conditioning Treatment (Mascarilla Capilar) for good reason. The key ingredient in this product is wheat germ oil. Reviews have included intense moisture and soft hair after first application. It comes in a humongous jar too so you can expect it to last for a while. For more on recovering from hair issues with natural oils, have a look at How to Grow Hair Healthy & Long with Natural Oils. 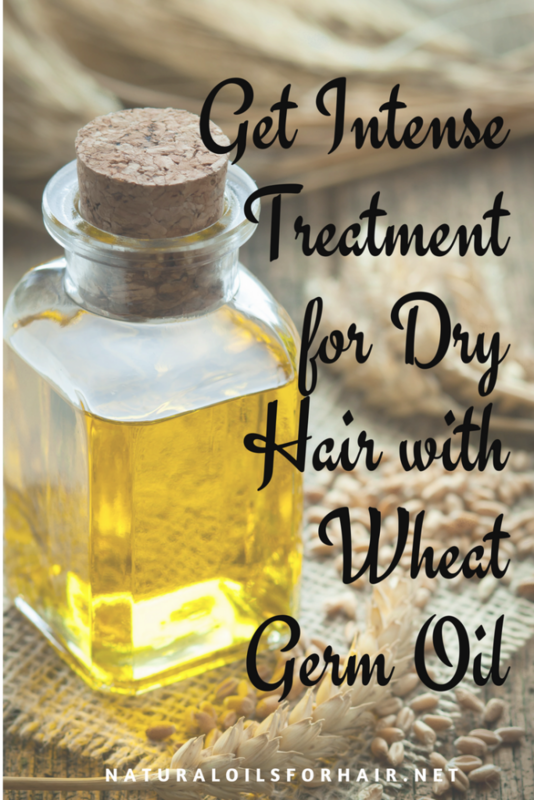 Wheat germ oil seems to be one of those all around oils good for hair and body. What does it smell like? Yes it is. It has a strong nutty like smell but if it bothers you, you can always mask it with an essential oil like ylang ylang. I don’t have any issues with a smell like that. It would probably be fine. If it had a sweet smell, I would need to put some lavender in. Looks interesting but I’ve heard wheat germ oil can make hair hard though. What’s your long term experience with it?